One of the first things any child learns to recognize in print is his or her own name. Learning to recognize their names and identify individual letters in their names is very meaningful to young children in preschool and kindergarten. While kids may think they’re just playing and having fun, learning to identify their names is actually the very beginning of the reading process. 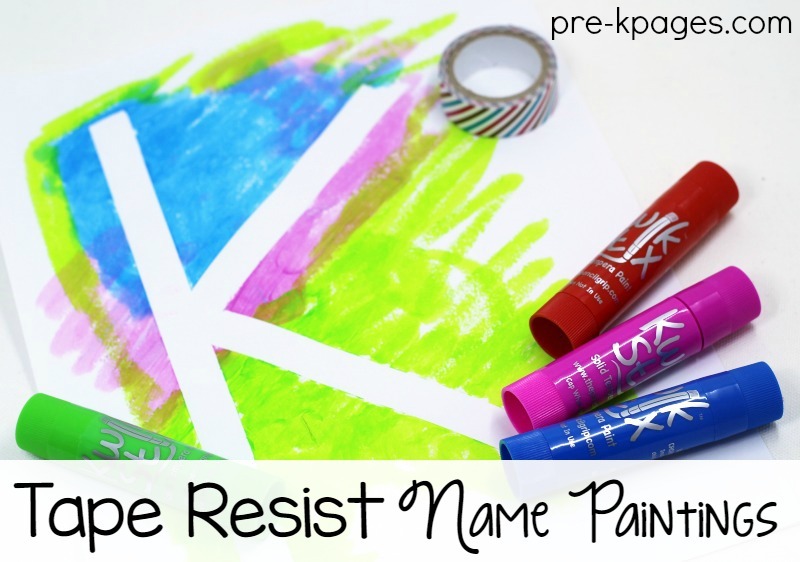 This fun tape resist name painting activity focuses on the first letter of the child’s name because that is the letter most will begin to recognize first. 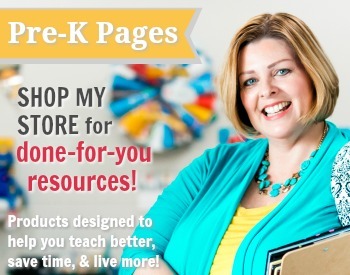 This is a great project for the beginning of the school year. 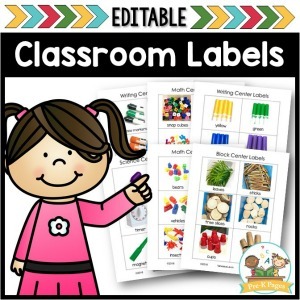 These name paintings look amazing on classroom bulletin boards and will give kids a feeling of belonging and ownership of the classroom. 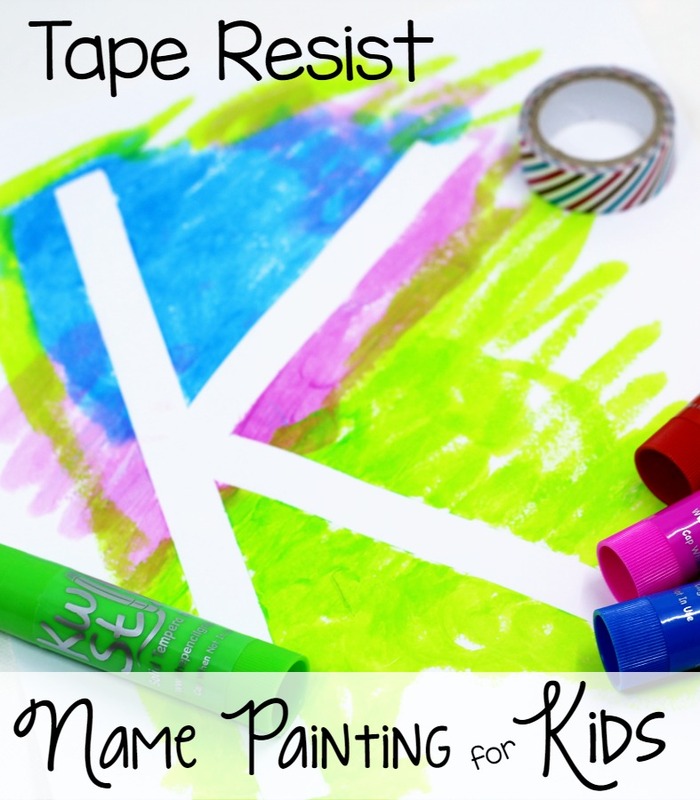 Your kids will love painting on their blank “canvas” and watching the first letter of their names magically appear later when the tape is removed! 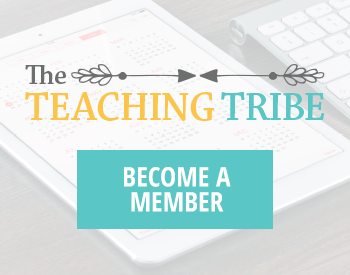 The best part of this activity is that you won’t need smocks, brushes, cups, or even a drying rack! These solid tempera paint sticks, or Kwik Stix, look like glue sticks, but the paint is smooth and glides on the paper easily, and most importantly- mess-free! And the paint dries in less than 90 seconds! 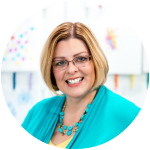 Start by using the Washi tape to make the first letter of each child’s name on a piece of white paper. 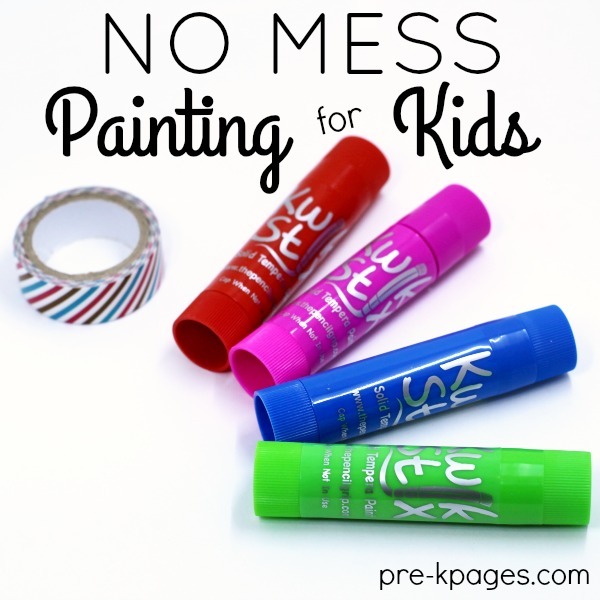 Next, invite a small group of children to begin painting their papers with the Kwik Stix. Don’t worry about mixing colors, the sticks won’t be ruined if the kids paint on top of another color. Just allow the kids to enjoy the process of painting on a blank sheet of paper. When the kids are finished, allow the paintings to dry for about 90 seconds, then invite the kids to peel the tape off their papers. Because the tape is paper tape it comes off easily without ripping the paper. When the tape is removed it will reveal the first letter of the child’s first name. Explain the significance of the letter to your kids, then invite them to hang them up on the wall or bulletin board for their friends and families to appreciate. 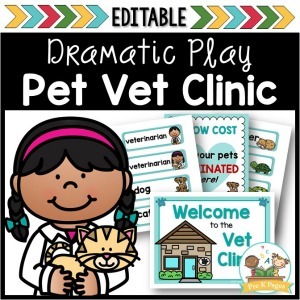 Follow my Names board on Pinterest for more great ideas!